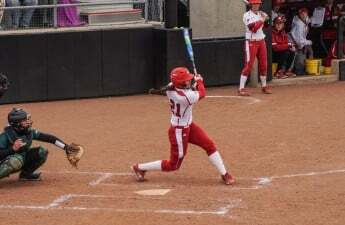 The University of Wisconsin softball team (27-5, 4-2 Big Ten) team swept the Penn State Nittany Lions (17-7, 2-4) in their second Big Ten series of the season. 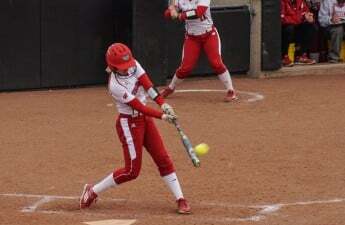 The first game of the series came Friday with Wisconsin pitcher Kaitlyn Menz in the circle. The scoring began with a Taylor Johnson three-run home run in the third inning. Johnson bats a .402 — an average that would lead most teams but leaves the Badgers in third — demonstrating just how consistent this Badger offense has been over the past couple of games. Wisconsin took a 3–0 lead in the third, only to extend that margin into the fourth. The Badgers scored eight runs in the fourth inning thanks to RBI base hits from Kelly Welsh, Kayla Konwent and Lauren Foster, a Johnson walk to bring in a run and a Stephanie Lombardo double to bring in three runs. Wisconsin went on to add two more in the fifth inning and run-rule Penn State in five innings with a final score of 13–0. Menz pitched 3.1 innings of the shutout, only allowing one hit and three strikeouts. Saturday’s game provided less offense with Haley Hestekin in the circle. Hestekin — coming off a near flawless performance against Northern Iowa — suffered the first Penn State run of the series on a Chelsea Bisi home run in the first inning. After the opening mistake, Hestekin gave a dominant performance with five strikeouts, only allowing three hits and two earned runs. Konwent drove the Badger offense, who leads the team in batting average at .490 and smashed her tenth home run of the season in the third inning of Saturday’s game. Wisconsin went on to win 3–2. In the series finale, it was more Wisconsin offense early on. The Badgers scored nine runs in the first inning, capitalizing on some Penn State weaknesses. The four opening Badger runs all came off of Penn State mistakes. An error by the Nittany Lion catcher, two sacrifice bunts without recording an out and a walk allowed the Badgers to score first. Konwent, Johnson and Foster scored the remaining runs as the Badgers were able to give Menz plenty of room to work with from the circle. 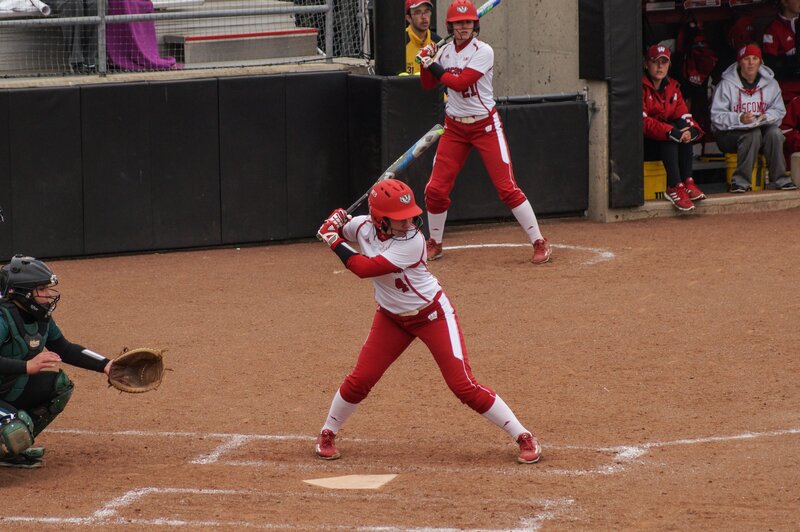 Konwent later went on to crush her 11th home run of the season and Wisconsin cruised to an easy 12–3 victory to clinch the series sweep over the Nittany Lions. Because of her performance, Konwent was later named Big Ten Co-Player of the week. She had six runs, 12 hits and eight RBIs over a dominant weekend stretch. Wisconsin will be back in action this weekend versus Iowa at Goodman Diamond. Friday’s game starts at 5 p.m. and can be viewed on BTN+ or follow live stats at uwbadgers.com.